A number of chemicals called neurotransmitters occur in the brain; these brain chemicals can be affected by both medications and supplements. 5 HTP is actually made in the human body, but it is also available in supplement form. 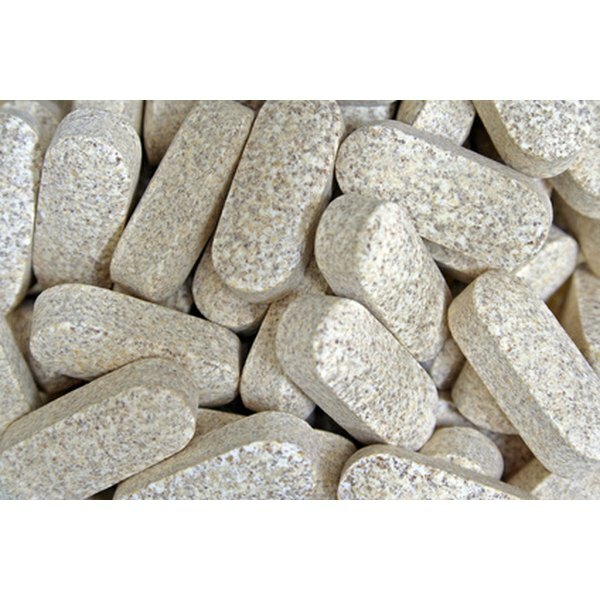 There are some situations in which it can be dangerous to take 5 HTP. 5-hydroxytryptophan, usually shortened to 5 HTP, is synthesized by the human body from the amino acid tryptophan. Unlike tryptophan, 5 HTP cannot be obtained from food, and eating increased amounts of tryptophan-containing foods does not increase 5 HTP levels very much. Obtained from the seeds of an African plant called Griffonia simplicifolia, this chemical can also be obtained through dietary supplements. Like anti depressant medications called selective serotonin reuptake inhibitors, or SSRIs, 5 HTP can help to raise the serotonin levels in the brain. The University of Maryland reports that 5 HTP can be helpful in cases of depression, fibromyalgia, obesity, migraines and hot flashes. Depression is one of the medical conditions that can be caused by changes in the brain’s neurotransmitters. In the case of depression, a decrease in the neurotransmitter serotonin affects sleep, mood, anxiety, appetite and pain sensations. SSRIs are a popular type of medication used for depression. In fact, the Mayo Clinic reports they are the most commonly prescribed antidepressants. Celexa, Lexapro, Zoloft, and Paxil are commonly prescribed SSRIs. For whatever reason, some people think combining SSRIs and 5 HTP will help them more than one alone, but because they both affect serotonin levels, the combination can lead to a condition called serotonin syndrome. This condition can result in dangerously high serotonin levels. Symptoms include confusion, dilated pupils, irregular or rapid heartbeats, fever and even unconsciousness. Unlike prescription medications, supplements such as 5 HTP are not regulated by the Food and Drug Administration. Each company follows its own standards for product quality, which means there may be variability. However, the FDA does maintain a section on its website called Dietary Supplements, Alerts and Safety Information, which is accessible to the public. In addition, a company called Consumer Labs performs independent testing on different brands of supplements, looking for things like contaminations or ingredients that do not match the amounts specified on the product label. A subscription is required for detailed reviews of products tested. Consumer Labs’ section on 5 HTP notes that side effects have been limited to mild digestive distress, such as heartburn and some possible allergic reactions. It also mentions possible skin changes when 5 HTP is taken with carbidopa, which is given for Parkinson’s disease, and notes the risks of taking 5 HTP with SSRIs. MedlinePlus, a service of the U.S. National Library of Medicine, cautions that 5 HTP should not be used at all because some people who took it developed a condition known as eosinophila-myalgia syndrome, or EMS. According to MedlinePlus, EMS could be caused by a contaminant or the 5 HTP itself; the actual cause is unknown. The University of Maryland, on the other hand, says that even if there are contaminants in 5 HTP, you would have to take very high doses to cause symptoms, and recommends you get your supplements from a reliable manufacturer. While the available evidence seems to indicate 5 HTP is not dangerous when taken according to directions, any supplement or medications can be dangerous when taken in large quantities. If you think you need both 5 HTP and an SSRI, or want to change from one to the other, it is important to talk to a health care professional; make sure it is someone who is knowledgeable about both conventional therapy and alternative medicine.